Run for your country! Take part in the race for the Euro 2016 soccer trophy and compete against players from all over the world! Select your favorite team and try to run as far as you can in this addictive skill game. Collect power-ups, dodge opponents and upgrade your player to run even farther. Can you push your country to the top of the leaderboard? 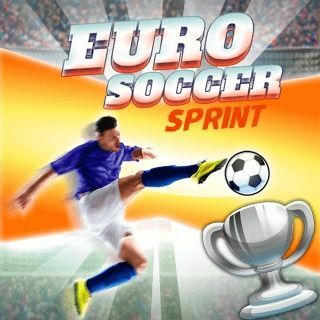 Euro Soccer Sprint - Find Euro Soccer Sprint in our vast HTML5 games catalogue. Only the best and newest HTML5 games for all audiences. Guaranteed success with Famobi.